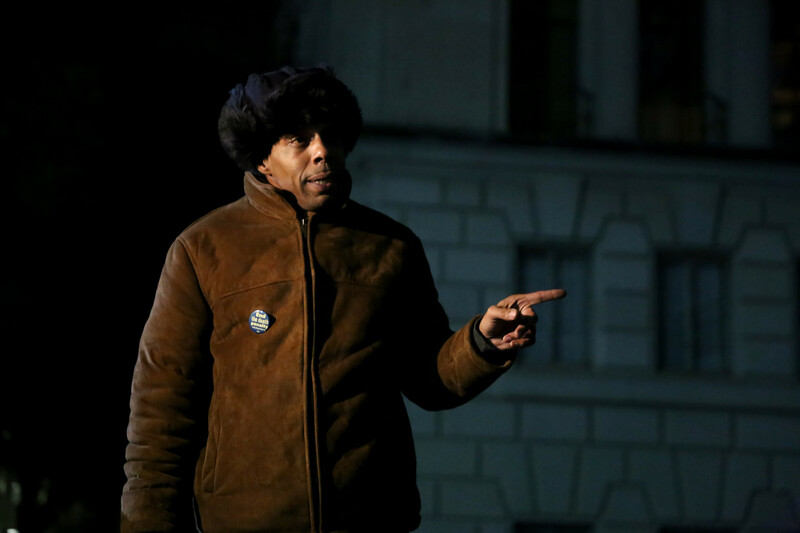 Roderick Reed speaks at a vigil held in honor of his brother, Rodney, on the Main Mall on Thursday evening. Rodney, a death row inmate originally convicted of murdering Stacey Stites in 1996, had his execution date stayed by the Texas Court of Criminal Appeals on Monday. 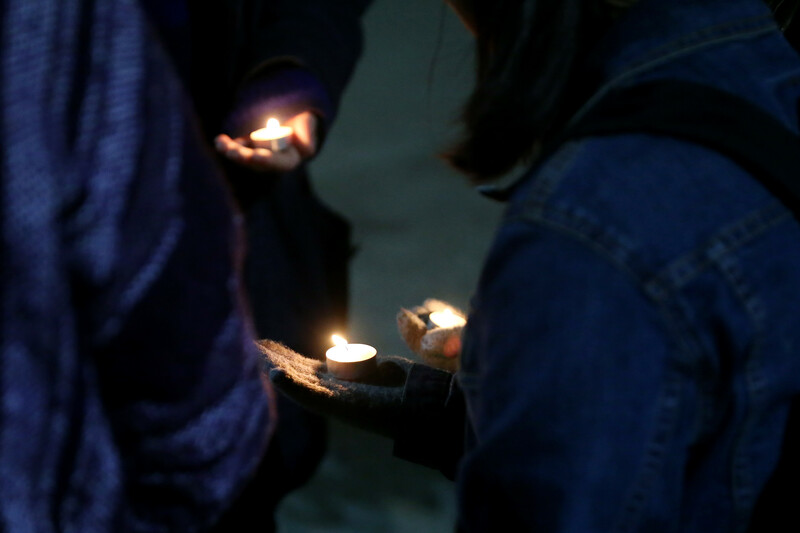 One week before Rodney Reed’s scheduled execution, students and community members gathered on the steps of the Tower to hold a vigil for Reed and to protest Texas’ judicial system. Reed was convicted of murdering Stacey Stites on the morning of April 23, 1996. The state claims Reed raped and murdered Stites. Reed’s attorney said new evidence, which includes a testimony and forensic evidence, proves Stites was killed, and her body was moved hours earlier than originally thought. Reed’s original execution date was March 5, until the Texas Court of Criminal Appeals issued a stay of execution Monday. The stay gives Reed’s attorney time to present new evidence to the court. Roderick Reed, brother of the accused, said the justice system is broken and functioning in a racially-motivated arena. 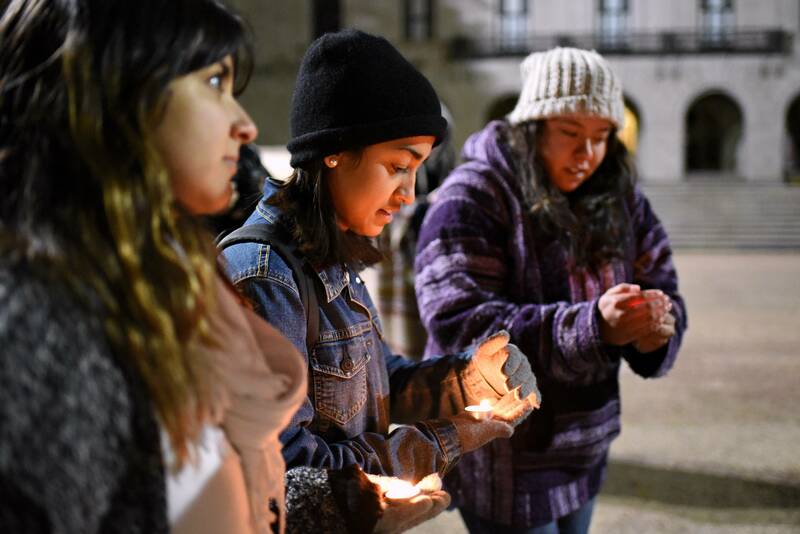 Ana Hernandez, Latin American studies and history senior and the vice president of UT’s Amnesty International student chapter, said the vigil is meant to raise awareness for everyone on death row. The jury that convicted Reed during the initial trial was composed of all-white members. Advocates for Reed say DNA tests were conducted unfairly and incorrectly. Correction: In an earlier version of this article, Stacey Stites' name was misspelled. It has since been updated.